Three years as an immigrant in Europe taught me a lot about the concept of roots. This is a familiar concept to Maori people, who for a couple of centuries have had to tell the difference between Pakeha who were loyal to New Zealand and Pakeha who weren’t. The short of it is that one’s degree of belonging to a nation is a function of the roots that you have there. In Sweden, like almost everywhere in the Old World, there is little question about who counts as a Swede. If you are Swedish then you have Swedish ancestors going back to the dawn of time, like all other Swedes. This is the common bond that gives rise to the Swedish nation. If you do not have these roots you are not Swedish. This is a very simple and near-universally accepted belief. You can get a Swedish passport and become a ‘paper Swede’, and if you also speak Swedish this will entitle you to be treated with full dignity and as if your presence has as much value as anyone else – but you still won’t be Swedish. Maoris in New Zealand have a similar concept. The depth of your roots tell you whether or not you can be trusted to stick around, or if you’re the sort of person who just wants to make a quick buck and then disappear (for obvious historical reasons, Maoris tend to be exceptionally wary of the latter sort of person). The only real way to determine if a person is a Kiwi or not is whether or not they would stick by other Kiwis should a calamity befall the nation. This is a measure of the amount of solidarity that person has with other Kiwis. Would they stay to defend the country if it was attacked by foreign military forces? Or would they run away and leave Kiwis to their fate? Fundamentally this is a question of solidarity. People with roots in New Zealand have cousins here, they have family friends in other cities, they have stories of how their great-great-grandparents or earlier descendants tamed the land, and this naturally leads to solidarity with other people who have similar roots and similar stories. 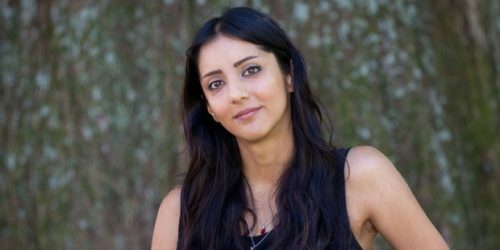 Golriz Ghahraman, who made the headlines today for lecturing Kiwis about our “internalised self-hate”, has no roots in New Zealand in any case, which is part of the explanation for the lack of solidarity she feels that she has received. Everything suggests that if the Kiwi people were ever truly in danger, she would rather move to another country than to stay and help out. If things got tough here, she would rather abandon us than face personal disadvantage by remaining here. After all, she and her family have already done this once, so they have a track record of it. She has no moral right to turn up in New Zealand as a migrant and then start lecturing us about what a Kiwi is or isn’t. The thought of a Kiwi moving to Iran and then presuming to tell the Iranians what’s what about who they are is ludicrous – so why do we accept the same in reverse? For someone with no roots in the country to act as if their verdict about our true nature has any weight represents an incredible arrogance and sense of entitlement. Moreover, her implication that a refusal to allow New Zealand to become a dumping ground for the world’s human refuse is “race supremacy” is disgusting in light of the strong bonds of solidarity that exist between the descendants of British colonists and Maoris. These two groups get along as well as they do because they have shared roots in the country – it has nothing to do with race. Obviously Ghahraman has spoken to very few Maoris in her lifetime, for if she had she would be aware that the strongest nationalist and anti-refugee sentiments in the country are harboured by them. None of this is to argue that the National Front are correct or that they represent an appealing face of New Zealand. A New Zealand identity must not be based on a hatred of the other. But for a Kiwi identity to exist, a certain degree of exclusivity is necessary. There is no other way of achieving this but to declare that people without roots in New Zealand are not Kiwis. To make the argument that Kiwis with hundreds of years of roots in New Zealand are in the same category as people who just stepped off a plane and got a passport is preposterous. For one thing, it presumes to decide for those long-established New Zealanders who they are permitted to feel solidarity with. For another, it ignores the fact that almost every other culture in the world does the opposite. Kiwis who are either Maoris or descended from colonists have a couple of centuries of family lore that relates to New Zealand that newcomers simply cannot have. They can tell you stories about how their great-grandmother cut her thumb off with an axe here, or how their grandmother broke her arm falling off a bicycle here, or how their grandfather used to go pig hunting here. Newcomers do not and cannot represent this culture. At the end of the day, if people with deep roots in New Zealand want to exclude those who don’t, that’s their prerogative, and Iranian social justice warriors admonishing us to hate ourselves for it won’t make a mouseshit of difference. So why wasn’t she vetted about what she was going to lecture about? Or is she not in a “regular” establishment. Yep, unless one has roots here, one cannot comprehend the depths of our emotiions for our whenua. The same applies to the First Nations peoples of Canada and America. It’s disgusting to label people as ‘human refuse’ because their home has been ravaged by war, (something totally out of their realms of control) making living there untenable… and then to label them as ‘having a track record’ of giving up and getting out… just despicable, small minded and devoid of any understanding of aroha at all. And to think that you are developing reo resources while you still use the word ‘Maoris’ is a joke. Those British settlers (only one of the many groups that came from many parts of the world) so adoringly lauded in this piece of … writing, by definition are the same ‘human refuse’ you so easily label refugees and immigrants with. And no, she didn’t just turn up, having lived here since she was 9 years old. Anglo-Saxons built the best civilisation the Earth has ever seen. Middle Easterners mostly still live in the bronze age. There’s a difference between British pioneers building a new civilisation in a new land, and random third world foreigners seeking to siphon off the wealth and resources others have built over centuries. The author absolutely has a very good point about the deep relationship between Pakeha and Maoris. This is a relationship that has existed for over 150 years, and one that the latest planeload of Somalians or Iranians simply cannot comprehend. So in that sense our identity is exclusive and it is right to defend this exclusivity. And yes, most people do use the word ‘Maoris’. Even Maoris themselves in my experience.